What Exactly Is APAC Anyway? The Astor Room offers $1 oysters (every day from 5-7pm) and two for one cocktails (Tuesday-Sunday, 5-7pm). 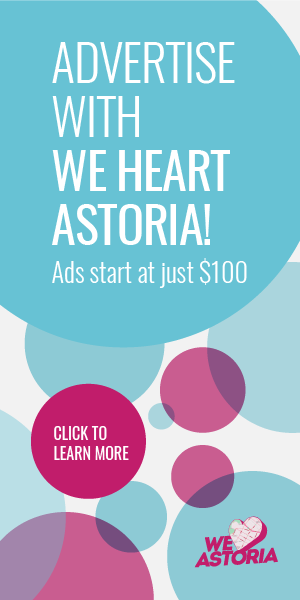 We Heart Astoria is three years old today! Happy birthday to us! Meg hearts these LOOK! stencils in LIC at the intersection of Jackson Ave and 50th Street. 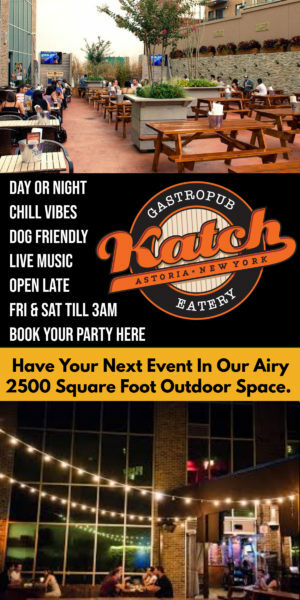 We Heart Astoria Food Talk includes Ovelia’s Rock ‘n Ribs Wednesdays, Astor Room’s press in the Daily Meal, Bradley Hawks’ review of The Strand Smokehouse, fun BareBurger jingles, Woks and Lox event at the Queens Kickshaw and Pachanga Patterson and Vesta’s holiday treats.